Calling all my Fairies & Fishing Enthusiasts! 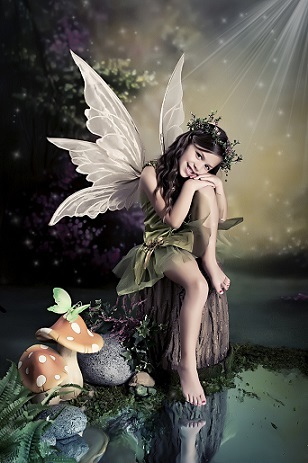 The Enchanted Forest offers the most unique portrait experience to capture the wondrous imagination of your child. 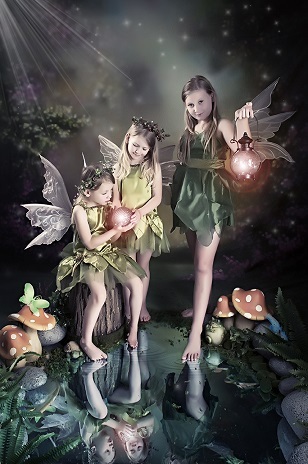 As parents, we love making our children's dreams come true... even the wildest ones like being a mystical fairy! Now you can bring magic to your child's life with their very own personalized portrait session -- an experience you will both cherish forever! Saturday, April 27 and Sunday, April 28! A: Please click on the button "CLICK HERE TO BOOK A SESSION" to select which session you would like for your child, date & timeslot. Session fees must be prepaid to secure a confirmed timeslot. Q: Is there a discount for siblings? Q: If I am booking more than one child, do I book more than one timeslot? A: Yes! Please book TWO timeslots (back-to-back if for the same promotion) for 2 or more siblings. For siblings in the same promotion, they will be photographed individually AND together. Q: Do I need a PayPal account to secure a timeslot? A: No, you do not need a PayPal account. PayPal will give you the option of using your credit card to pay. If you prefer to pay by email transfer, please call Suzanne at 613-322-2223 to make arrangements. Q: What are the dates for these promotions? 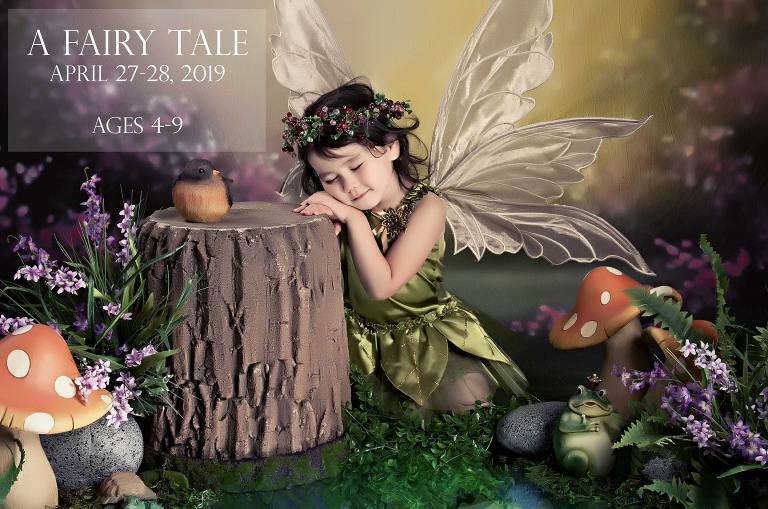 A: A Fairy Tale will take place on Saturday, April 27th and Sunday, April 28th between 11am-5pm. Gone Fishin' will take place on Saturday, May 4th between 11am-5pm. A: Our studio is home-based business located in the south end of Ottawa, in the neighbourhood of Hunt Club East. You will receive our address upon booking. Q: What ages are these promotions suitable for? A: Both A Fairy Tale & Gone Fishin' promotions are suitable for ages 4-9. Because of the delicate props and costumes, we cannot accommodate ages 3 and under. A: YES! 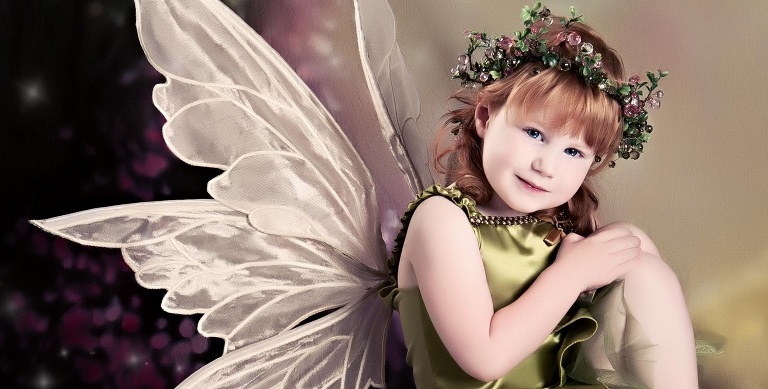 For A Fairy Tale, we have 2 styles of fairy dresses in various sizes as well as beautiful wings! For Gone Fishin' we provide denim overalls in various sizes with optional tank top. Q: Can my child bring her own wings and/or costume? A: To keep our vision and our art consistent, we will provide the costumes and wings (which are custom made). A: Timeslots are booked every 30 minutes, but the session will take around 20 minutes. This gives you time to get your little one dressed and for some final primping (although we do recommend having hairstyles ready before you arrive). Preparation tips for A Fairy Tale will be emailed prior to the weekend promotion. Q: Can parents be present in the studio during the session? A: Yes, parents are more than welcome to watch the magic unfold in the studio but please sit quietly and let us coach the little ones with their posing and expressions. No need to encourage them to smile pretty for the camera. And if possible, please keep babies & toddlers at home with loved ones. No photos please. A: Please arrive 10 minutes before your scheduled timeslot. If you are late, we cannot accommodate extra time (due to the busy schedule). Q: Is A Fairy Tale just for girls? A: Although we do not have "traditional" male costumes for A Fairy Tale, any child who likes to wear dresses is more than welcome! Q: When/How will I see the proofs? A: Approximately two weeks after the promotional weekend takes place, we will send out a link to the booking calendar to schedule your Viewing & Ordering session in studio. Please bring all decision makers (grandparents are welcome to come too!) to the appointment. Appointments will be approximately one hour and will be available Monday to Friday during the daytime & evening. Q: Is an online gallery possible? A: We do not provide online galleries. Viewing & Ordering appointments are only available in studio. Come see your child's beautiful portraits bigger than life on our projection wall! In certain circumstances (e.g. for out of town clients), we will accommodate Skype sessions, but images are best viewed in studio. Q: My child has bruises on her knee. Can this be retouched? A: Absolutely! All final images are fully retouched. Bruises & booboo's will be magically erased! ONLY HELD ONCE A YEAR! DON'T MISS OUT! Questions? Give us a call at 613-322-2223, email suzanne@sweetpeaphoto.ca, or use the contact form below.